From Bakersfield to the Oregon border, our customers reflect the rich diversity of California’s communities and its economy. At PG&E, we value that diversity and reflect it in how we do business, with the overarching goal of improving the customer experience. We remain focused on understanding and responding to the different needs of our customers and keeping their ever-evolving needs at the forefront of our decisions and actions. Pacific Gas and Electric Company’s Customer Care organization, led by its Chief Customer Officer, is responsible for our efforts to deliver the desired experience for each and every customer. This includes localizing our presence and strategies in the communities we serve, empowering customers with greater choice and control over how they manage their energy use, continuously integrating customer feedback into improving our products and services, and leading an ongoing effort to drive long-lasting customer engagement and satisfaction. We formally empower our organization to work more effectively at the local level and better incorporate local needs and concerns into our operating decisions. We have built local cross-functional leadership teams who meet regularly to address local issues. The teams are led by local managers and include representatives from across the business. PG&E supports and is committed 100 percent to solar—and we’re proud that 200,000 solar customers have connected to our electric grid. We believe that solar is critical for the clean energy future of California. We want to provide our customers with choice and control to help them meet their energy needs, including solar energy options. We continue to offer a full portfolio of savings options for customers with an increasing focus on behavioral tips to help customers reduce their energy use and save money. 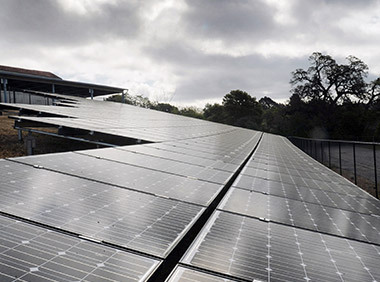 We offer some of the nation’s leading programs and incentives for energy efficiency, demand response and installation of solar water heating systems and other distributed generation, as well as simple rate options for charging electric vehicles. We are also preparing to offer a Community Solar Choice program that will allow customers to buy up to 100 percent solar power. More than 55 percent of our residential customers prefer self-service options—and that number is growing. As we take advantage of new technologies to help customers understand, manage and reduce their energy use, we are increasingly reaching out to them through a growing variety of channels, including mobile phones, web, email and social media. We provide the vast majority of customers with access to hourly data on their energy use and a comparison of their use to that of similar homes in their neighborhoods. Within our online tool My Energy, customers can see how and when they use energy, take a home energy audit and find energy saving tips as well as information on our energy efficiency programs and incentives. PG&E’s Business Energy Checkup enables small and medium business customers to find energy-saving ideas that can lower their operating costs and programs such as on-bill financing to address up-front cost barriers. Our energy statements provide clear and easy-to-understand information in multiple languages, with numerous options for customers to pay their bills. PG&E has also improved its mobile website so customers can get real-time outage information on their mobile devices and start, stop or transfer service in addition to capabilities for payment. Customers can also choose their preferred channel for communication: text, email or phone. In addition to planned digital offerings, PG&E offers self-service capabilities like reconnecting service via our Interactive Voice Response technology. Many of our communications are available in multiple languages and formats, including English, Spanish, Chinese, Vietnamese, Tagalog and large print. To increase customer satisfaction, PG&E regularly seeks feedback and insights from customers through various surveys, an online community of our customers called Customer Voice, in-language focus groups and other forms of research that, in turn, help to drive our decision-making and efforts to improve customer service. We also maintain an internal hotline that allows any employee to elevate a customer issue and make sure that PG&E addresses it in a timely fashion. Students from 12 universities across PG&E’s service area spent the day in a competition to identify ways for PG&E to engage its small and medium business customers on energy efficiency. During the event, the students put themselves in the shoes of a small business—from an autobody shop to a dry cleaner—to identify innovative solutions for PG&E. 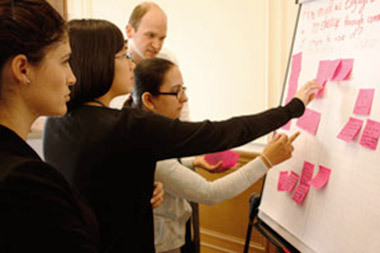 For the second year, the “ideation lab” event was facilitated by Net Impact, a global nonprofit that empowers a new generation to work within and beyond business for a sustainable future. 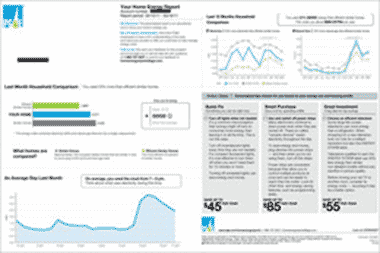 About 1.2 million of PG&E’s residential customers receive easy-to-read Home Energy Reports. They show customers how their energy use stacks up against approximately 100 similar households in their area and provide personalized tips on saving energy. These comparisons can encourage customers to manage their energy better. The savings enabled by the reports add up: in 2014, electric savings totaled 90 GWh, enough to power about 6,200 typical homes for a year. Total estimated gas savings came to 3 million therms, nearly enough to serve about 1,300 typical homes for a year. Established local leadership teams. We met our goal of establishing local cross-functional leadership teams throughout our service area, allowing us to strengthen local relationships and more quickly identify and resolve local customer concerns. Improved the customer experience for digital-first customers. Through sweeping improvements of PG&E’s customer service infrastructure and technologies, customers can now self-manage more of their interactions and transactions with PG&E. In short, customers can now do business with us via their Channel of Choice. We are working to expand the types of transactions that customers can manage digitally or via self-service. Expanded customer data platforms. We launched a service called Share My Data, which allows customers to share their energy usage data with select third-party service providers who can use the information to help customers determine if energy products and services, such as rooftop solar, may be right for them. Continued strong growth of social media properties. PG&E produces customer-centric content for social media properties on Facebook, Twitter, Instagram, LinkedIn and YouTube. In 2014, PG&E’s social media platforms became essential real-time communication tools during large storms and events, like the Napa earthquake. Both customers and news media turn to our social channels, including our news site at pgecurrents.com, for the latest news and updates from PG&E. Improved outreach to diverse groups. By deploying more in-language materials, increasing the number of in-language media opportunities and working with local organizations, we saw strong participation in our programs for low income customers. For example, our CARE program, a discounted rate plan, achieved 86 percent participation by eligible customers. Through a continued focus on improving the experience for our digital-first customers, and tailoring our engagement and offerings based on local customer needs, we are committed to improving satisfaction for both residential and business customers. In 2014, we achieved a customer satisfaction score of 76.5, our highest annual score since 2009, and above our target of 75.7. Each year, we benchmark our survey with customers of best-in-class performing utilities from J.D. Power’s Customer Satisfaction Index. This helps us set our goal each year, as we aim to achieve top quartile performance. In 2015, our target is 77.2. To measure customer satisfaction, we use a random-sample, proprietary customer survey that is conducted quarterly by an independent third party. The Customer Satisfaction Score is determined by averaging customers’ overall satisfaction with our products and services using a 1 to 10 scale, indexed to a score from 1 to 100. This metric also serves as one of the measures we use for determining performance-related compensation, as employees from all PG&E lines of business contribute to improving the overall satisfaction of our customers. Through the work of our local cross-functional teams, we will continue to build PG&E’s local presence, strengthen relationships with customers and other stakeholders, and increase PG&E’s engagement in our communities. As we work to create a better customer experience, we will continue to provide more self-service options for customers, including customized energy audit opportunities and rate and bill explanations. And, as part of our decades-long commitment to solar, we also support smart energy reform to sustain the long-term growth of rooftop solar in California. We will also continue to make new technologies available to customers. For example, customers are testing internet- and smartphone-enabled thermostats and Home Area Network devices—made possible with SmartMeter™ technology—that provide energy management and usage information via in-home displays. 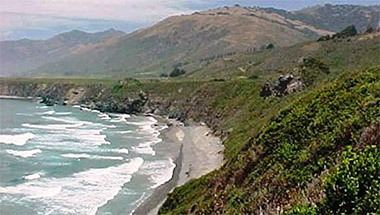 In honor of Earth Day 2015, PG&E partnered with the National Fish and Wildlife Foundation to plant a new tree in the wildfire-stricken Los Padres National Forest on behalf of every customer who enrolled in paperless billing. The trees we plant through this effort will reforest approximately 2,800 acres of the 19,000 acres that were burned in forest fires.